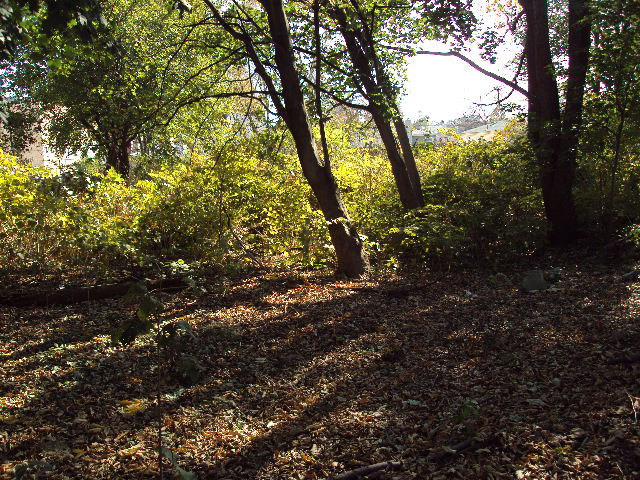 Named for the abundance of Norway maple trees (Acer platanoides), the Maple Woods on Richmond Road between Pierce and Steuben Avenues were first known as Maple Walk. They received their current name in August of 1997 from Parks Commissioner Stern and Council Member Jerome X. O’Donovan. There are approximately 125 species in the maple family in the Northeastern United States, and 13 maple tree species in North America. Characterized by simple, broad, toothy, lobed leaves and long stalks, maples are common shade and woodland trees found from the temperate regions down to the tropical mountains. Maple flowers are generally small and insignificant, but anyone who has lived near the trees can recognize their distinctive paired “helicopter” seeds, or samaras. The Norway maple, which reaches an average height of 59 feet (18 meters), is fast growing and tolerant of smoke and dust, making it an ideal city tree. Norway maples are widely planted across the United States for their graceful shade and their bright yellow autumn foliage. Unlike that of its cousin the Sugar maple (Acer saccharum), the sap of the Norway maple is milky and unsuitable for consumption. 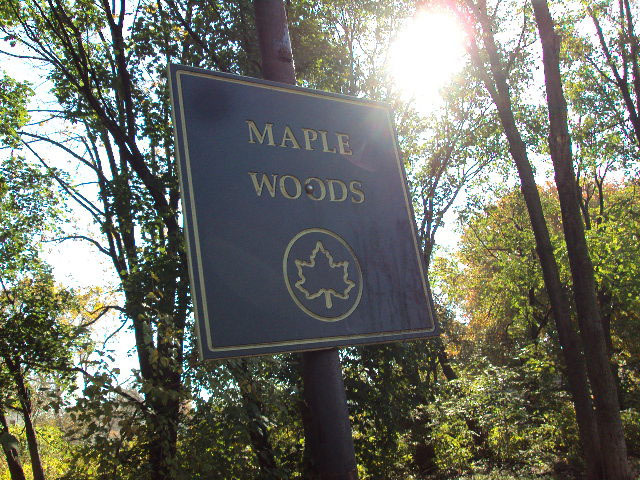 Maple Woods is surrounded by the neighborhood of Concord. Known earlier as Dutch Farms, it was renamed around 1845 in honor of Concord, Massachusetts. That Concord was the birthplace of Henry David Thoreau (1817-1862) and the adult home of Ralph Waldo Emerson (1803-1882), two of the most influential philosophers and men of letters of the 19th century. Emerson’s brother William was a Staten Island judge, with a farm up the hill from present-day Concord. Thoreau lived with the judge’s family as a tutor for several years in the 1830s and 1840s. It is assumed that the neighborhood was renamed through the influence of both Emerson and Thoreau. This site came to the City on May 5, 1938, conveyed by letters of patent issued by the State. 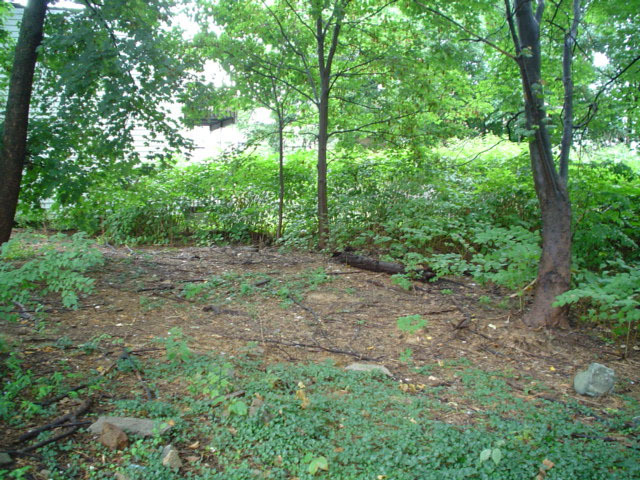 The terms of transfer stipulated that the land be used for park and playground purposes. Despite this language, the land remained either largely undeveloped or was unofficially taken over by its neighbors during the 1940s. Parks eventually reasserted its claim, but the land remained undeveloped. Surveys in 1970 and 1990 found that much of the property was in disrepair, and used as a dumping ground. A 1991 clean up restored the area much of its natural beauty. In addition to the preponderance of Norway maples, the Maple Woods has a scattering of other flora, including an apple tree (Malus sylvestris).